I’m extremely pleased to announce that my new book on Microsoft Azure SQL Database has just been published! 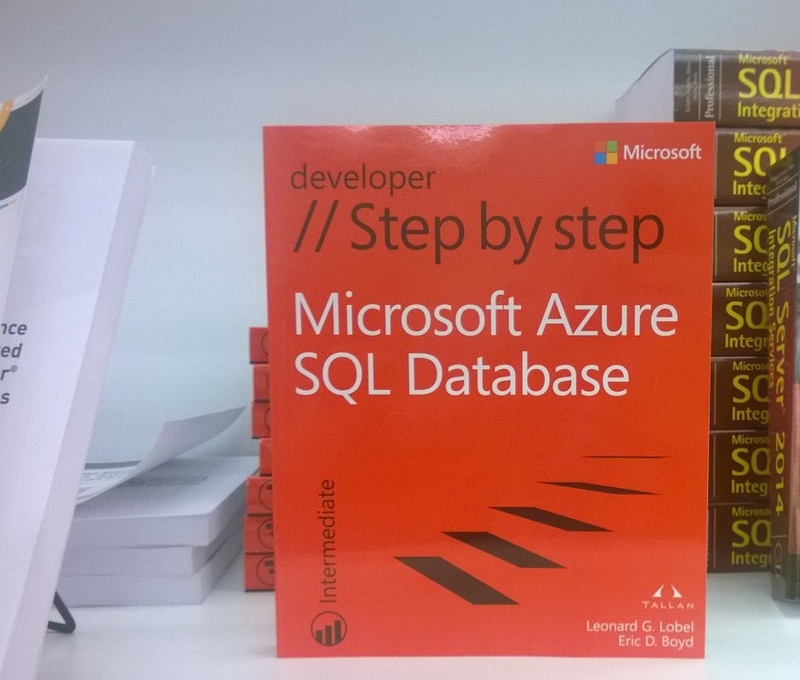 The book, part of the Microsoft Press “Step By Step” series, is designed for readers to quickly get productive with Microsoft Azure SQL Database — the cloud version of SQL Server. I’m especially lucky to have worked with Eric Boyd, who has co-authored the book with me. Eric has great knowledge and experience with the Azure platform, which really shines through in his chapters. So who is this book for? Well, anyone interested in quickly getting up and running with SQL Database on Microsoft Azure. This includes not only those experienced with SQL Server, but readers having general experience with other database technologies, and even those with little to no experience at all. The Step By Step series follows an inviting format that’s chock full of quick rewards — small bits of conceptual information are presented, and that information is then immediately put to practical use by walking through a relatively short procedure, one step at a time. When providing directions, don’t use general references like “the east entrance of the parking garage.” Out-of-towners tend to be directionally challenged! Be as specific as possible and include all relevant details, such as the floor, when pertinent. If the event is being hosted at a university, don’t just advertise the general address for the entire campus; specify the exact building address or building name. Having no one to call in the event of a problem right before (or during) the event can pile more stress on an already stressful situation. Make sure that every speaker has a name and phone number they can contact if necessary. Very often, SQL Saturday signs are placed near and around the venue. These signs are very helpful, so they shouldn’t be taken down in the middle of the day. Some attendees (and speakers) make only be able to arrive for the latter part of the day, and they also need to benefit from the signs.